MOBILE, Alabama -- Carnival Fantasy set sail on a three-night "Cruise to Nowhere" after a mechanical issue on the ship meant the trip would not reach their planned destination of Cozumel, Mexico, during that time. The cruise ship, which departs from Mobile, Ala., experienced a technical problem affecting the propulsion system, which affected the vessel's maximum cruising speed, Carnival said. Because of the speed limitation, the ship will remain at sea for the duration of the cruise. 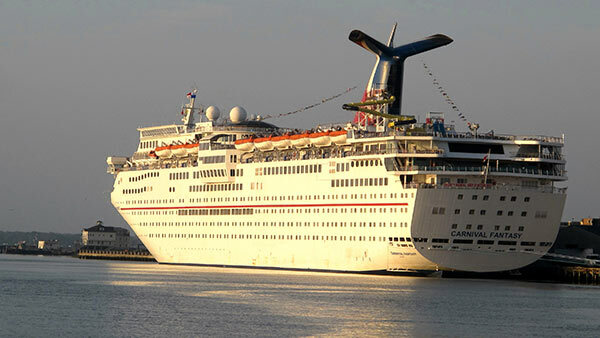 Carnival said all booked guests had the option to cancel and receive a full refund, disembarking, or staying on board and "sailing on the cruise to nowhere." Passengers who decided to stay received a 50 percent refund of their cruise fare, a $50 onboard credit and a 50 percent toward a future cruise. Carnival apologized for the problem and modification.